Dealing with Dough – Page 2 – The tale of a (training) baker, his recipes and stories picked up along the way. My Instagram feed seems to be a magnet for comments from my Dad, which usually run along the lines of: “remember you’re a student,” but can escalate as far as “Celeriac gratin!? You’re a f**king student!”. Just recently, after plunging nearly all of my income into a new project (blog post to follow soon), I began to realise – I am a student. If the meals I make were movies, as a director I am a Steven Spielberg/Quentin Tarantino hybrid. I don’t cook regularly, but when I do I tend to spend a lot of money (not just on ingredients but utensils I will probably never use again), I create mess, occasionally there is blood – but the soundtrack is good. Student suppers are my low-budget, independent films starring actors you’ve either never heard of, or that you believed to be dead. They are films that are initially made out of necessity but do occasionally win an award, which is what is most important. 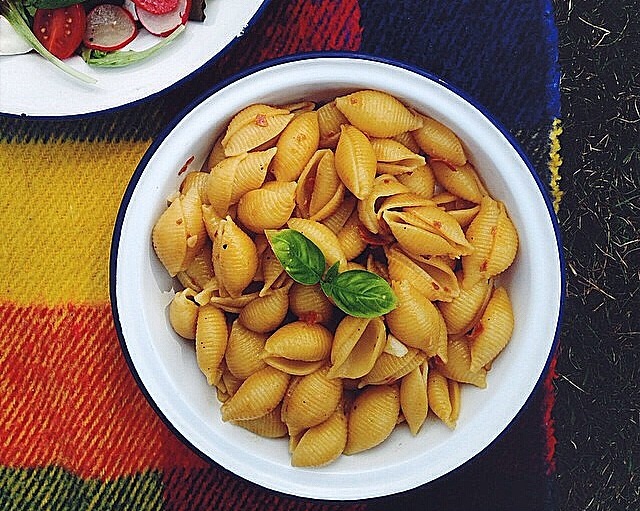 Over the coming months I will be posting low-budget meals that are not only quick but delicious. 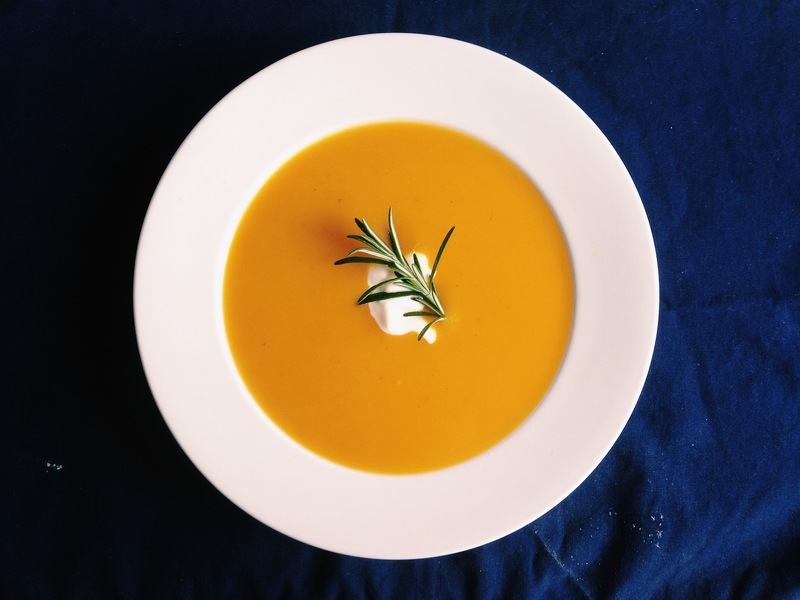 If you have any suggestions, questions, or would simply like advice on low-cost cooking, please get in touch. 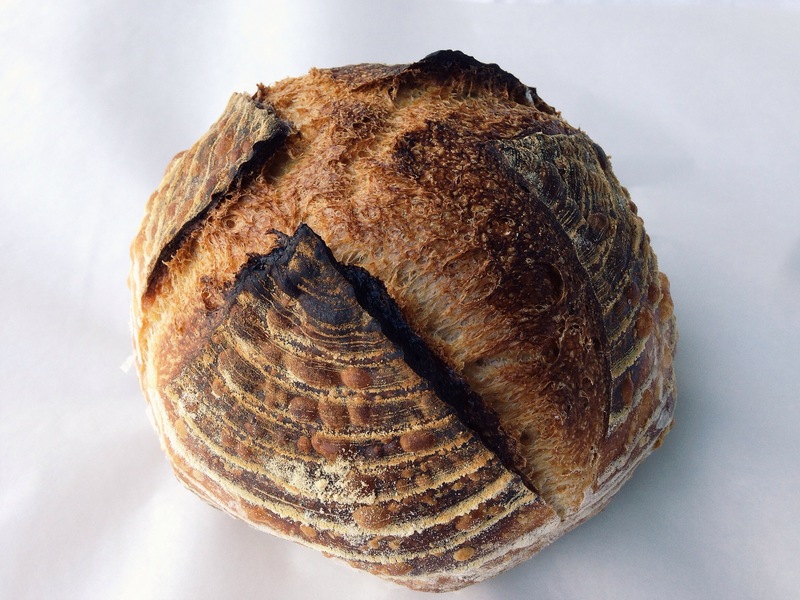 Naturally leavened bread, or sourdough, is one of the most satisfying things a baker can wish to pull from their oven. It does take time and a little patience, but the result will undoubtedly be some of the finest bread you have ever tasted. Sourdough baked at home. Source: DWD. 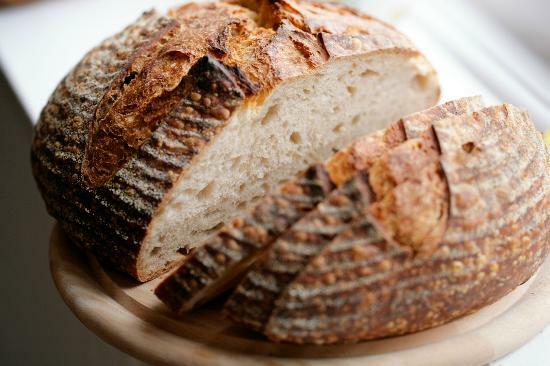 Sourdough’s name refers to the slight tang in flavor caused by the production of acids during the retarded (cold) final proof, which can last from anything between 10 and 18 hours. With a good method and an attention to detail, anyone can bake great tasting sourdough at home. First, you will need what’s called a starter. This is a small quantity of flour and water that you leave to rest for a short period of time. 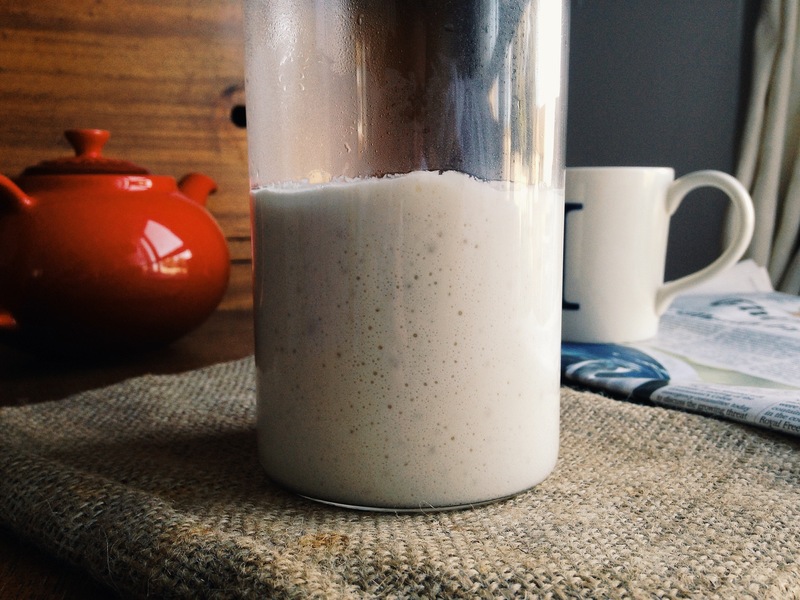 With the help of natural bacteria (on your hands, in the air, in the flour), a yeast culture will form and it is this that you will use to make your bread rise. 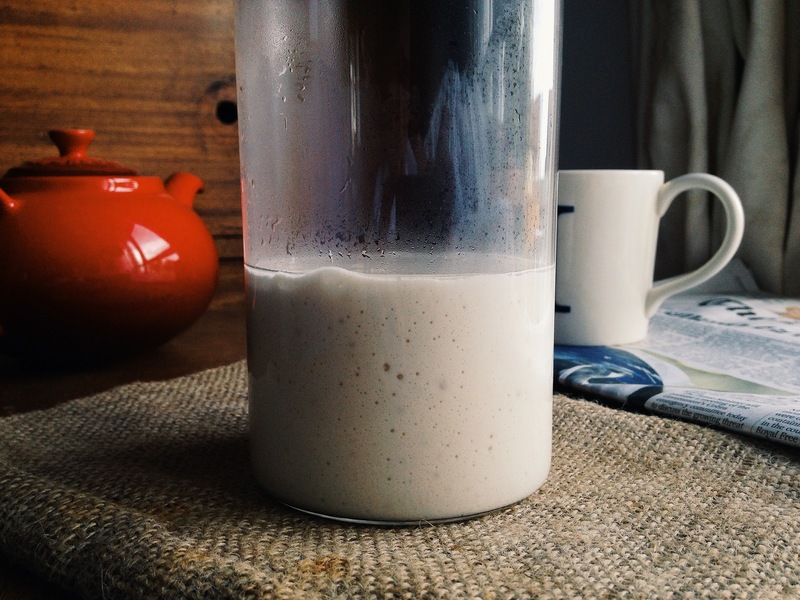 You will use this starter every time you want to bake bread, so look after it: name it, nurture it, and make sure it’s always looking healthy. It’s important to be as accurate as possible when measuring flour and water quantities, and if you can, try to carry out each step at a similar time each day. Working the process of feeding your starter into your daily routine will make sure it is always strong and active. In your container, mix together 25g of bread flour with 25g of water, using a fork to beat out any dry clumps of flour until you have a thick, smooth batter. Cover, and place in a warm spot (22-26c) to rest for 24hrs. Scatter a little (5g) of bread flour over the batter and leave to rest for another 24hrs. Add 50g of bread flour and 50g water to your starter, again mixing with a fork until smooth. Cover, and place in a warm area and leave to rest for another 24hrs. 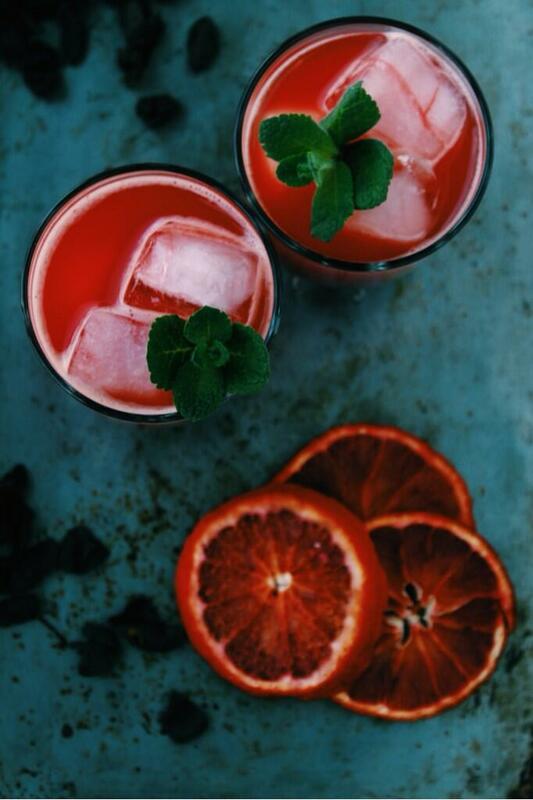 By now your starter may be showing signs of life! Very small air pockets within the batter, visible from the side of your container, or a slightly acidic smell are both good signs that your starter is building up strength. If your starter doesn’t exhibit any of these symptoms yet, simply scatter a little (5g) flour on the surface and leave to rest for another 24hrs. If your starter is looking active, it is time to ‘feed’ it. Pour away 100g of your starter, and to the remaining 100g in the container, add 50g bread flour and 50g water, beating together as you have done on previous steps. Cover, and leave in a warm place for 24hrs. By now your mixture should be active. Discard 100g of your starter and add 50g of bread flour and 50g water. Mix together and cover, leaving it in a warm place for 24hrs. Repeat step 5 for another two days, and by day 7 your starter should be strong enough to bake with. After each feed you should be able to notice a regular ‘rise and fall’ in the starter. After you have fed it, the starter should appear relatively inactive, as it did at the beginning. It should smell milky and slightly sweet. The starter immediately after feeding. Source: DWD. Two or so hours after the feed you should see an increase in volume, with air pockets in the batter visible from the side of your container and on top of the starter. It should still smell sweet, but with an acidic smell starting to build. The starter two hours after feeding. Source: DWD. 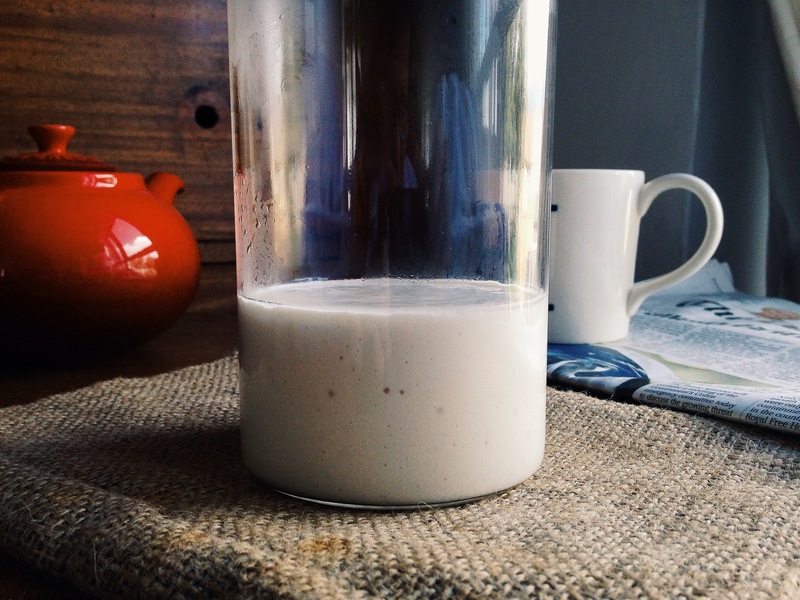 Roughly four hours after your feed the starter should be obviously active, often nearly doubling in size. At this stage the starter is referred to as ‘young’ and it should still exhibit a slightly milky aroma. The further into the 24-hour rest the starter goes, the more ‘mature’ it will become. The starter four hours after feeding. Source: DWD. 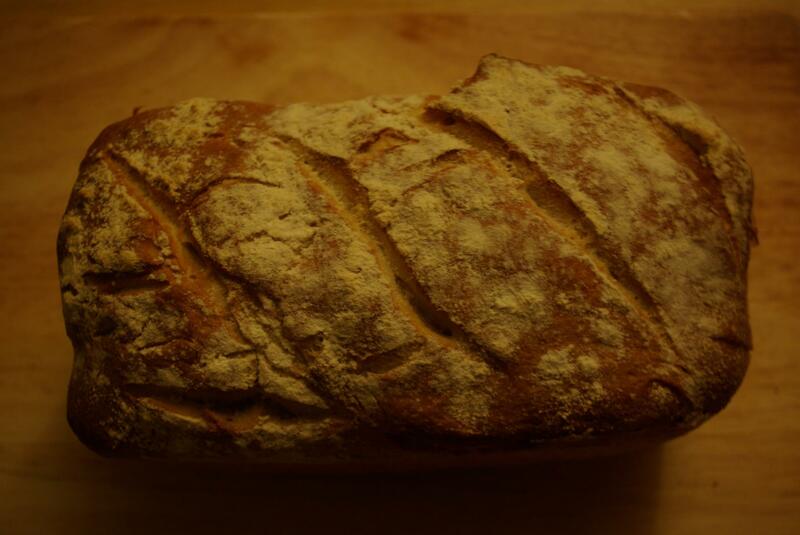 Once your starter rises and falls regularly after feeding, you are ready to bake bread! It is important to always replace the starter that you throw away with equal quantities of flour and water. If you struggle to find a warm spot in your house, simply increase the temperature of the water you use when you feed the starter. Anything up to around 35c is fine (a little warm to the touch) but try not to go any higher than this as it will inhibit the fermentation process. 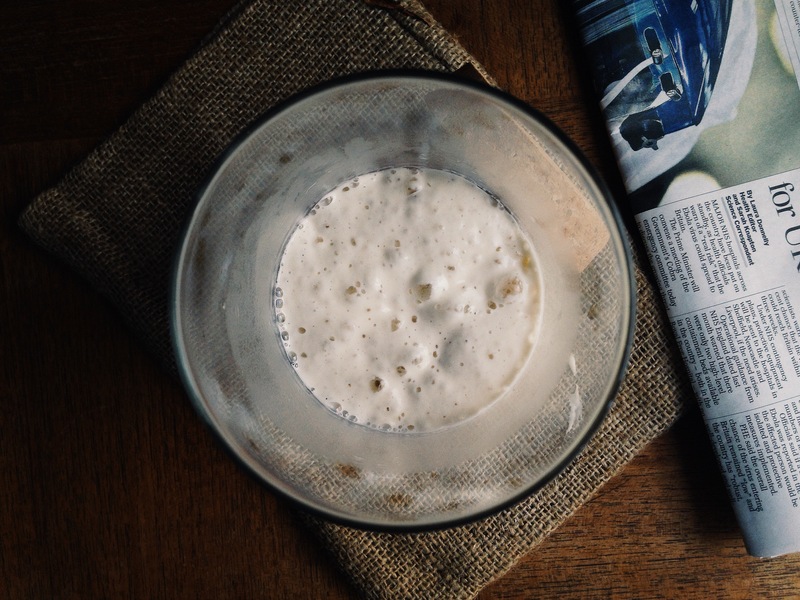 If you have any questions, or would like a FREE tub of the sourdough starter I use, please comment below or email me at: hugohharrison@gmail.com and I will reply within 24 hours. 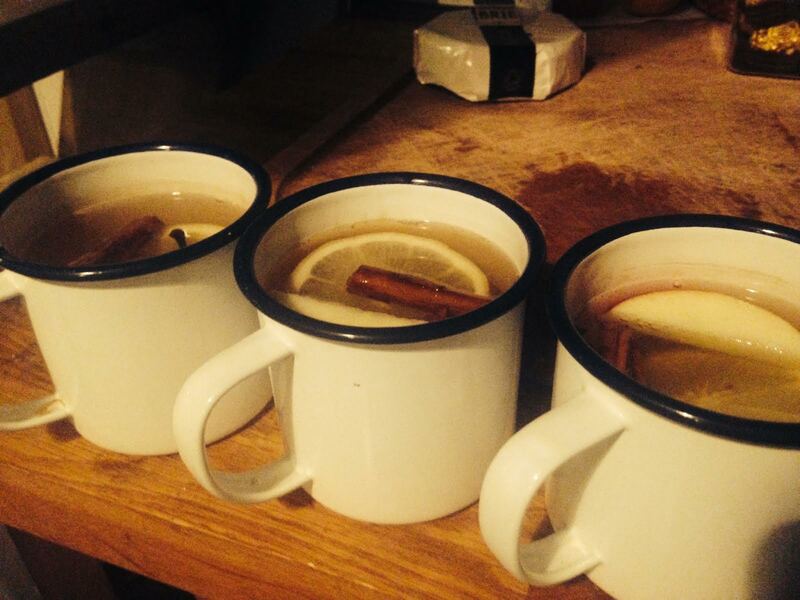 For me, there is no scent or taste as nostalgia-inducing as cinnamon. It is the spice that sparked my love for baking. It’s smell can take me back to dozens of Christmases and Easters in an instant, and the flavour never fails to bring a smile to my face. I have wanted, for a long time now, to create a sweet recipe that can do this delicious ingredient justice, and I finally think I have. Scrolling through my Instagram feed on Saturday morning gave me the push I needed, as photograph after photograph appeared littered with scrumptious cinnamon. Of course, it was Cinnamon Roll Day (Kanelbullens Dag). Cinnamon curls. Source: Dealing with Dough. This recipe differs a little from other cinnamon rolls as it uses laminated (croissant) dough. Consequently the method is a little longer and takes a bit of practice, but the sweet, buttery pastry you are left with makes it worthwhile. 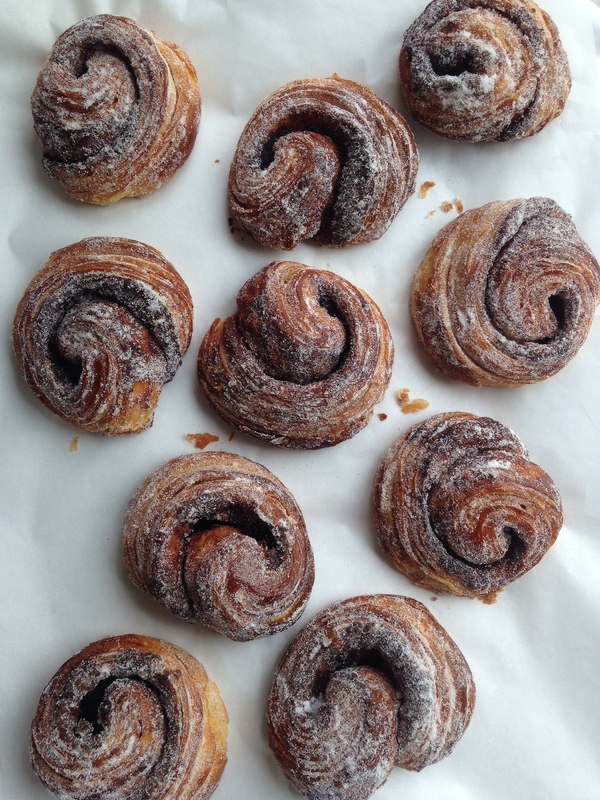 I roll these cinnamon curls in sugar whilst they are still hot from the oven, but if allowed to cool first, a vanilla icing would work just as well. Method: Tip your chilled croissant dough onto a lightly floured work surface. Roll your dough out to a rectangle of roughly 20″ by 12″, at a thickness of no more than 4mm. Clean the flat top of the dough, now facing you, of all flour using a pastry brush. Mix your light brown soft and demerara sugar with your cinnamon in a large bowl, using your thumb and fingers to rub out any larger chunks of sugar. This is your cinnamon sugar for the filling. With a palette knife, spread the melted butter evenly over the dough, making sure to reach all corners and edges. Equally scatter over your cinnamon sugar, again making sure to cover all areas of the buttered dough. Starting from the long edge closest to you, roll the dough up tightly until you are left with a long, thick shape similar to a swiss roll. Using a chef’s knife, divide the roll into 12 equal parts, trimming the ends off first if you’re after a less-rustic result. Once cut, you can shape them: simply grab the end of each curl, pull on it a little, and tuck it underneath the rest of the curl as a base. Leave the curls to rise for between 60 and 90 minutes, until they have increased in size by at least half. Once the curls have risen, give each a generous egg wash, (1 egg beaten with a small splash of water), and bake at 190Cfan/375f/gas mark 5 for 20 minutes, or until golden brown. Whilst each curl is still warm, toss in a shallow tray of caster sugar so that they are covered all over and allow to cool on a wire rack. I wrote the first post of this blog during my time at a very special bakery. At the end of each dough shift I would walk home up a steep and wet Forest Hill Road – tired, covered in flour, but inspired. Brick House bakery was an inspiring place to be, and an environment that I doubt I will come across again in it’s entirety. I have so far met two kinds of baker: he who bakes with his hands, and he who bakes with his heart. In December last year I was lucky enough to spend two weeks working with the latter of the two, Fergus Jackson and his team, in an industrial unit in Peckham. I started learning from the second I tied my apron, and continued to do so right through until I hung it up again on my last day. I began to gather little gems of information given to me every shift, and before I knew what was what I had a treasure chest. 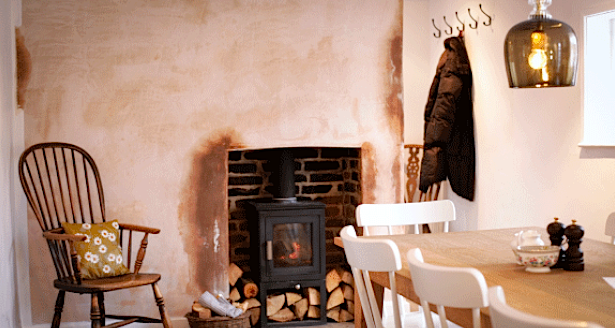 “When you fold the dough, pick it up as you would a book, and try not to claw at it with bent fingers” said Julia, a Canadian who had been baking with Fergus since Brick House opened in the summer of 2012. Passing comments like this may not have seemed much to the bakers at the time, but collectively they have changed the way I work with bread. Every baker had contact with the dough from start to finish, with absolute minimal involvement from machinery. All senses were engaged in monitoring the dough’s progress, and making alterations in the method where needed. Without realising it I was learning something that no book could ever teach me: bread sense. The slow-fermented loaves were baked daily to a standard that was dangerously close to perfection, both in taste and aesthetic. When I wasn’t baking I was laughing, and at no point did I want to be learning what I was learning anywhere else in the world. Almost all of the bakers previously had careers in other trades, but had turned their hands to baking. This communal choice meant that there was an extremely high standard of passion and enthusiasm. Standing at the dough bench shaping loaf after loaf was where they wanted to be, and this created an incredible environment to work in. I was taught the importance of temperature, technique and time at Brick House, all of which have made me a better baker, and have given me more confidence when I bake at home. More importantly, I witnessed the importance of bread. As cliche as it sounds, bread does bring people together. It’s the building block of communication, it speaks no language and can be shared by anyone, anywhere and at anytime. Seeing people visit the bakery while we were at work, in hope that there might be a loaf left from the last bake, proved to me its importance. 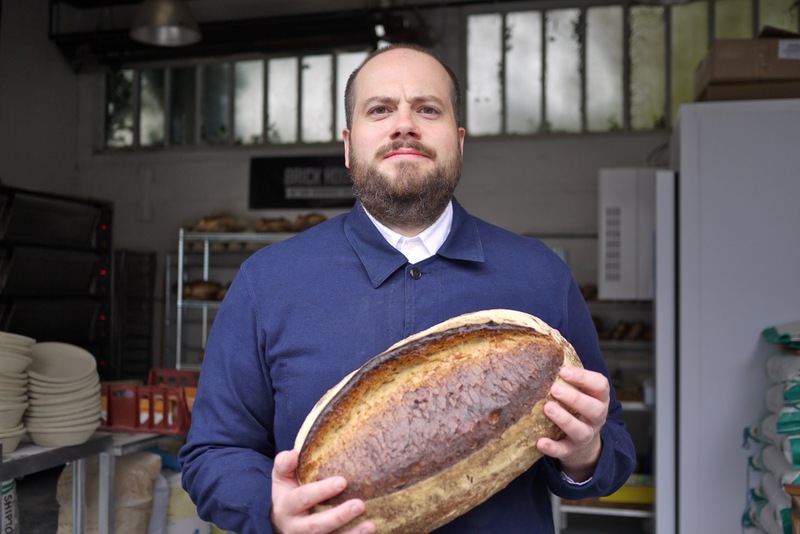 Fergus and his team, whether they would like to admit it or not, are changing the face of bread in London. They bake honest, wholesome and no-nonsense produce, and do so with a laugh and a smile that makes your loaf taste all the better for it. My notebook had only ever been occupied by my timetable and scrawls of shorthand practice, but by the end of the summer it was brimming with formulas, figures and dough schedules. What I needed to learn now didn’t lay on pages or on blogs or forums, only within a bakery, amongst mixers and dough benches. It was only here that I could pick up the priceless nibs of information that experience with the dough can teach. My only problem now lay in what I had experienced already. 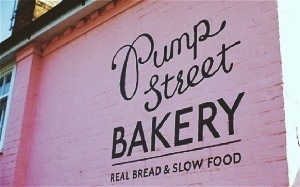 My time at Pump Street Bakery had left an impression on me for better and for worse. I now knew just how good bread could be, and wherever I went to learn next it was going to be hard to settle for anything less than that. After a handful of e-mails, phone calls and a short bout of man flu, I had managed to arrange some time in Borough Market’s brand new bakery and bread school: Bread Ahead. 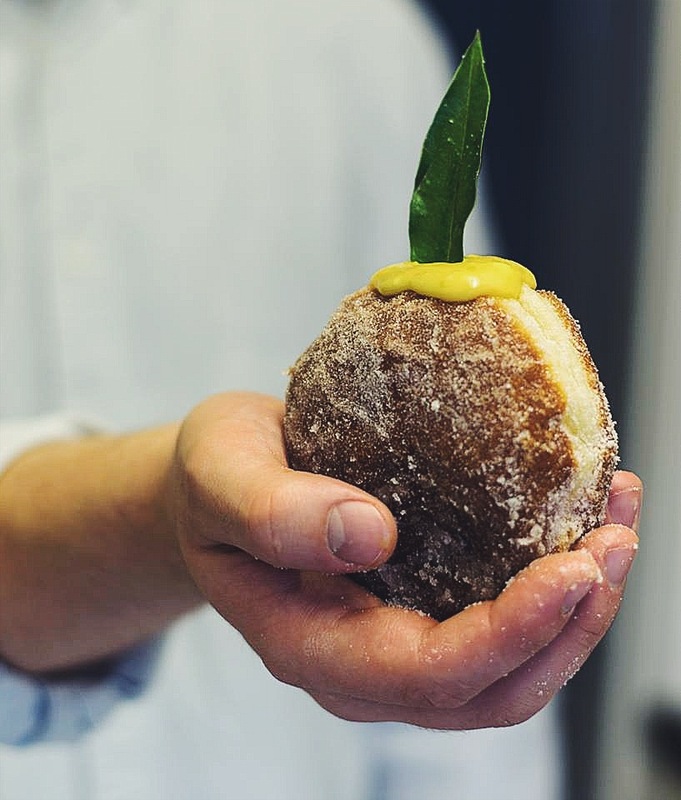 I knew that bakers Matthew Jones & Justin Gellatly (inventer of the St John doughnut) were leading the bread side of things and despite the short time I would be there, I knew I was in for a real treat. Excited, nervous, and a little daunted – I packed my bag and boarded the train to London. My alarm rang at 4am the next morning, notifying me of the time rather than waking me. I had little sleep whilst trying to recount everything I had learnt so far, so as not to appear (as much of) an idiot amongst the bakers I would be working with the next day. 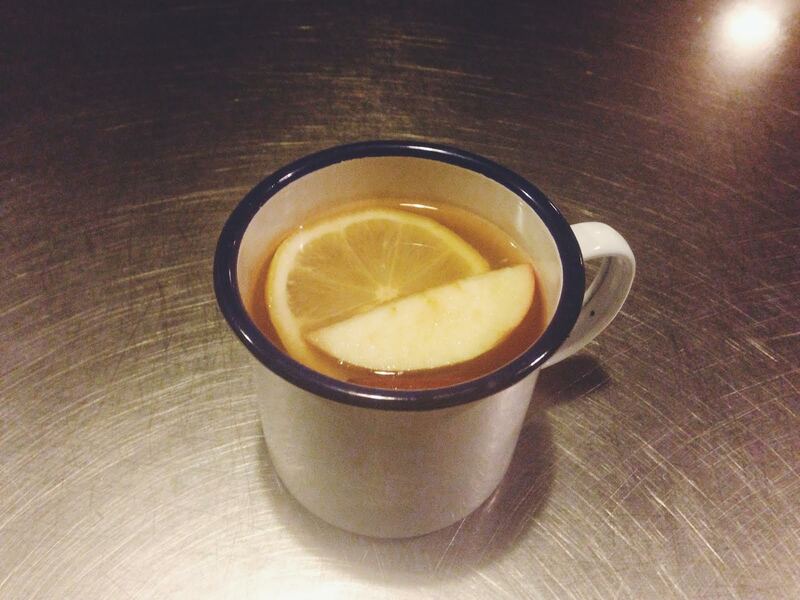 I wrapped up and made my way through the dark and empty streets of sleeping London. In the shadow of Southwark Cathedral I found the bakery, a wide glass fronted building oozing warm light and a sensuous smell into the surrounding dark streets. I was expecting to be shown the sink and broom, but after a brief tour I was put to work on their famously delicious bread pudding, cutting up the (very few) loaves left from the day before. “Nothing is ever wasted here!” Matt exclaimed. Every time a new loaf was pulled from the oven Justin would bring it over to me and explain the scoring technique, the flour blend used, the hydration and how long it had been rising the night before.”Real bread should only ever be scored with a razor blade, and baked with a crust that makes your gums bleed,” Justin said, knocking the side of a white sourdough he was holding. Gradualy the Shard lit up in front of me as commuters arrived one by one, all peering through the glass front of the bakery weary-eyed. Once the last loaves had been baked we began to pull a tower of proving baskets from the fridge, all waiting to be filled with today’s dough. Justin had a strange and unique way of teaching, one that has stuck in my mind ever since. Earlier on in the day I had mentioned that I was relatively inexperienced in shaping, and was expecting little or no contact with the loaves that day. But, as the huge tubs of dough made their way to the bench Justin summoned me over and put me to work shaping the boules. He watched on and would say nothing, which after 3 or 4 loaves began to concern me. Then he would stop and ask why I was shaping it that way and what I wanted the loaf to look like at the end – something I had never particularly considered before. I quickly lost the closed-mindedness I had arrived with, and instead of just following orders I started to think of the effects that my actions were having on the bread. The day ended as quickly as it had started and before I knew it I was on my way home, back to the pile of textbooks and deadlines that awaited me. Over the course of the next two months between lectures, seminars and inconvenient library sessions, I would bake when I could. A little over a year ago, on a weekend home from uni, I had my first taste of real bread. Never before had I considered bread and it’s possibilities, other than a sandwich or toast. 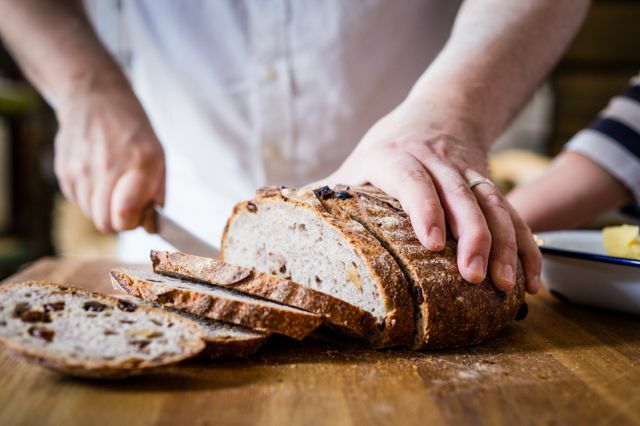 I cannot claim to be a life-long bread lover, as until I had sampled the dark caramelised crust and nutty open crumb of slow fermented bread, I hadn’t spared it much thought. The bread I am referring to is shaped, scored and baked just shy of 10 miles from my front door, in a village called Orford, in Suffolk. 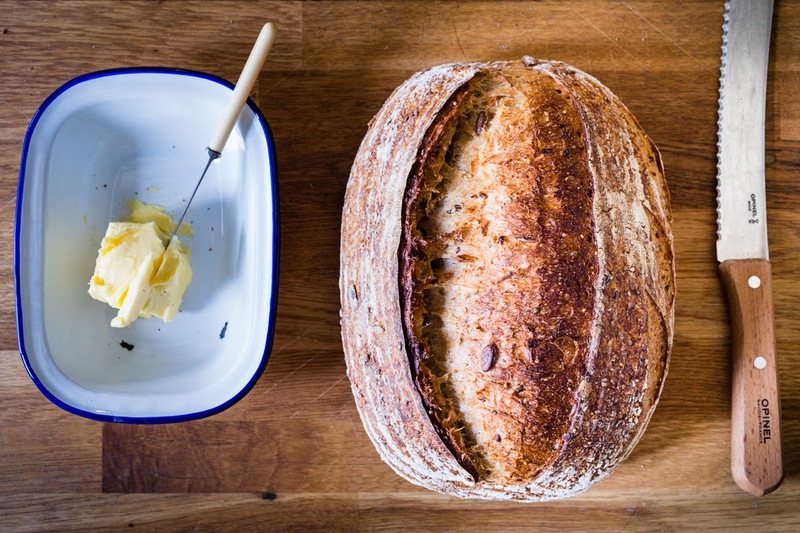 Pump Street Bakery produce some of the finest naturally leavened bread around, picking up awards on a national and international stage. It is here that my curiosity for dough evolved into a passion, and ultimately an obsession. I began baking at home immediately, not such an easy task in student halls of residence, searching books and the web frantically for the perfect recipes. I was amazed that with just three ingredients (flour, water, salt), such varied results could be achieved just by alterations in time and percentages. I was quickly baking more bread than any one man could eat in a normal diet, so I started to sell my test-bakes to other students living close by, providing me with an opportunity to test more recipes, and giving them an alternative to the Chorleywood processed bread at a large ‘saving you money everyday’ supermarket close by. Four months later and I was still chasing the perfect loaf, a little part of me hoping to never catch it. I realised that in order to find the bread I was after, I needed to return to where my bread mission had began, sat at the communal table of Pump Street Bakery’s cafe. After half a dozen emails and tweets, and heaps of faith and kindness from co-owner Joanna, I had managed to secure a summer job at the bakery, waitering in the cafe where the bread and pastries are sold daily. As the summer went on and on, I caught a word with the bakers whenever I could, quizzing them with how’s and why’s. I slowly began to understand Pump Street bread, and the slow fermentation techniques they employed to create their signature sourdough. Something I had not considered, however, only became clear to me at the end of my first shift in the bread section of the bakery. It was a huge piece of the puzzle that I had not even thought of, and that was passion. The bakers expressed it in different ways, but it was evident in every bit of contact they had with the dough. 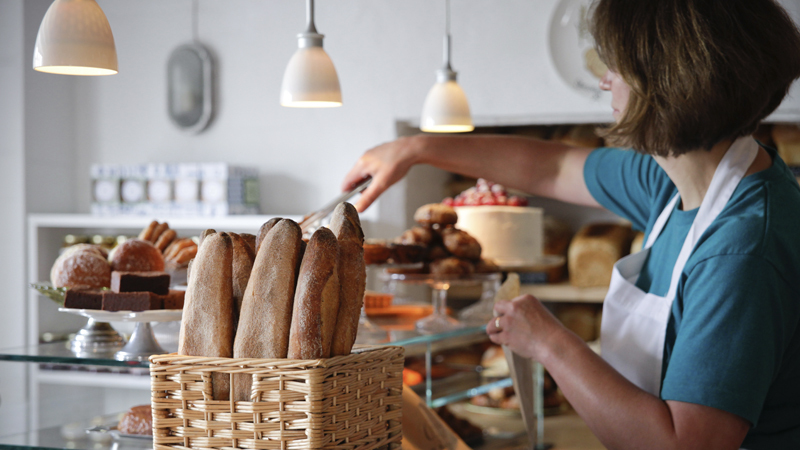 This passion made the bakery an exciting place to work and learn, and became infectious. After a handful of 13 hour days, starting at the bakery and finishing in the cafe, the fatigue was catching up with me. I was struggling to fit sleep around family life, work, and my time in the bakery, but wasn’t willing to give up any of them. One morning when I arrived at the bakery, everything changed. I walked through the shutter door to an incredible pattern of sound and light. Orange sunlight leaked through the wide windows of the bakery, catching particles of flour in the air and creating a haze of yellow light. The alarm from the deck oven rang, signalling the end of the doughs journey, and harmonised with the singing of bread on the rack, as the crust cooled and crackled. It was then I knew I wanted to be a baker, and my journey to do so had begun.